St Luke's Blog: We're in the charts! 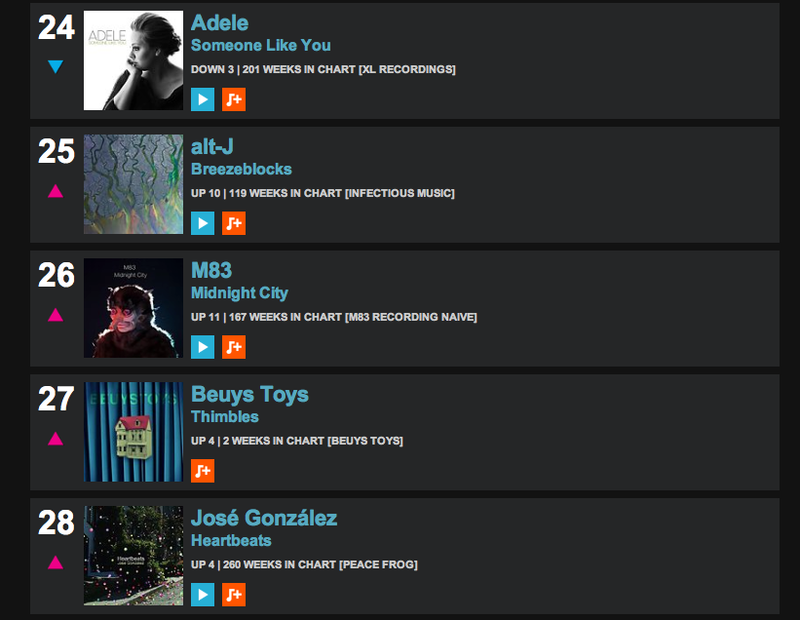 After over 33,000 downloads (and counting) of the Thimbles track by Beuys Toys from our Very ad, we have successfully made it into the Top 30 of the Official Indie Chart this week. Thanks to everyone that's downloaded and shared the track, we're beyond delighted that it's been so popular! If you haven't downloaded it yet, do so here and let's see if we can get this to climb up the chart! Keep your thoughts coming @stlukescomms, we love to hear what you think.